Ear Piercing to Relieve Migraines? 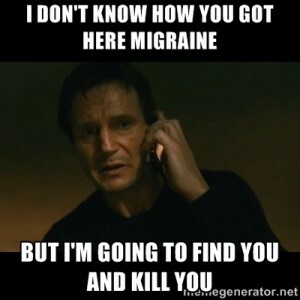 Through conversing with any migraine sufferer, you would find that a majority of them would do anything to ease the pain that raids their heads. Fortunately, new evidence (and purely anecdotal evidence) gives a possible permanent solution to the issue: an ear piercing, specifically a daith piercing. I am sure most of you are wondering: what the heck does an ear piercing have to do with migraines? According to the research, it relates to acupuncture. Though the only data so far is anecdotal, I believe this could be beneficial to our species. 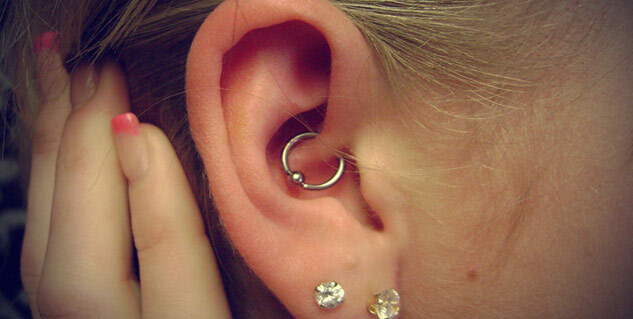 First, let’s get one thing straight: what is a daith piercing? Daith piercings are ear piercings that pass “through the ear’s innermost cartilage fold, the crus of the helix.” All I have to say to that is, OW! As far as migraines, according to the Mayo Clinic, they are a severe type of headache that results in a pulsing or throbbing sensation. Nausea, vomiting, and sensitivity to light and sound are other common effects of migraines. 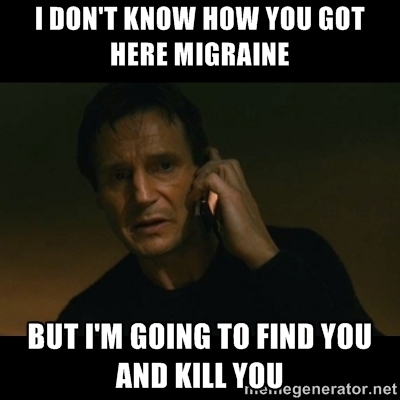 Some migraines last for hours, while others last for days. Everyone who suffers migraines experiences them differently, and severity and cause of migraines varies. Most people are unaware of what specifically triggers their migraines. The method behind the madness relates the placement of daith piercings to the pressure point “targeted by acupuncturists to relieve chronic headaches.” Acupuncture has been heavily tested in order to find a link to curing migraines. One randomized control trial conducted by Ying Li MD, PHD found 175 males and females with migraines and randomly split them into three groups: one was treated with acupuncture and the other two received shams. After the acupuncture was performed, the participants were monitored and scored based on their symptoms. Researchers found “significant differences in pain relief and relapse” among those who were treated with true acupuncture. Specifically, 79.6% of those who received the acupuncture did not experience recurrence of pain. This experiment produced a p-value of <0.001, proving the results to be significantly significant. Furthermore, a meta-analysis conducted in 2012 of 29 studies and nearly 18,000 patients showed that acupuncture is “effective for treating chronic pain.” If a daith piercing occurs in the same place acupuncture would, does this mean that it is a reliable alternative? Sheri Utecht, a 44 year old from Washington, suffered from chronic migraines for years. She spontaneously decided to get an ear piercing, and it happened to be her daith. After her piercing, Sheri has been cured of nearly all of her migraine related pain. Her story has inspired many to get their daiths pierced as well. This shows how strong personal anecdotes can be, like we discussed in class. Another migraine sufferer, Kimberly Glatz became motivated to get her daith pierced after hearing Sheri’s story. Glatz says that she notices an extreme difference in her headaches, and that the piercing is “worth trying.” The stories do not stop there, as hundreds of other migraine sufferers have been motivated to get their daiths pierced, and have seen significant results. While these stories are anecdotal, they seem intriguing enough to warrant a true study regarding daith piercings. Benefits of getting the daith piercing as opposed to acupuncture include time and money. 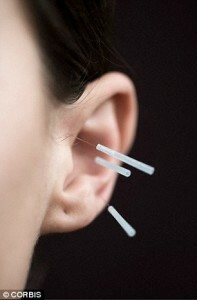 The typical cash price for acupuncture is $124 per session. On the other hand, daith piercings generally cost between $40 and $50. The piercing is a potential one time permanent solution to migraines. Furthermore, a daith piercing takes around 10 minutes from start to finish, while acupuncture takes 30 minutes to an hour each session. If I suffered from migraines, I know I would definitely give the piercing a try. While there are numerous success stories regarding the daith piercing alleviating migraines, they are all personal anecdotes, and therefore we cannot prove causation. There are many experiments that could be performed that would allow us to claim causation. The experiment could not be blinded because the participants would know if they received a piercing. However, researchers could gather a large group of migraine sufferers and split them into a control group and an experimental group. After piercing everyone in the experimental group, researchers would follow up with both groups in order to track and compare the number of migraines they’ve had. After a year’s worth of data was collected, I believe the findings would be solid enough to make a statement of causation. However, one question of concern I have is whether the ear that is pierced matters. 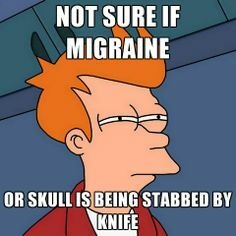 Does this relief from migraines only work when the right ear is pierced, or when the left ear is pierced? Does piercing both ears decrease the chances of suffering from a migraine? Furthermore, would the stimulation of the pressure point from a faith piercing eventually wear off? While these findings are merely personal anecdotes and lack data to support the hypothesis, I believe that outcomes are likely to be true. 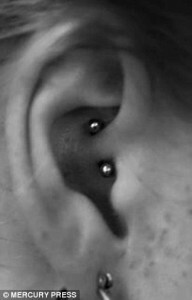 If you suffer from migraines and like the piercing, I think that getting it is worth a shot. This entry was posted in Uncategorized on November 15, 2015 by Cassidy Heiserman.